The whole world was anticipating for Apple to release its prized iPhone for this year, and now with the date finally set and done, we now have the new generation of handsets from the California-based company. It seems that the rumors are on point, and the majority of the populace would likely meet it with mixed receptions. The most glaring confirmation that came out during the iPhone 7 launch event is the sad truth that the handset will no longer come with the 3.5mm standard. What does this mean? Well, you won’t be able to connect your traditional headphones straight to the new iPhone 7. Thankfully, Apple includes an adapter, but do take note that you won’t be able to use it while you’re charging it in this case. Apple also equipped the iPhone 7 with an IP67-rating, making it waterproof and dustproof. Design-wise, it looks similar to the iPhone 6, although with a couple of aesthetic changes to keep it fresh. 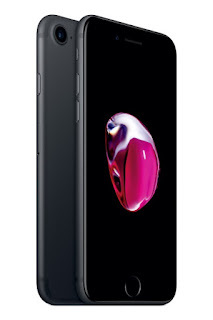 In terms of specifications, the iPhone 7 now comes with a new-generation A10 Fusion chipset with a quad-core CPU. It has a setup of two high-performance cores plus two efficient cores. On the other hand, the new GPU also features six cores and gives a 50% performance boost over the previous GPU found in the A9. The iPhone 7 also gets a new 12MP camera that features f/1.8 six-element lens and OIS. There’s also a new flash setup that’s comprised of four LEDs to give you a boost in lighting during poor conditions. The iPhone 7 also retains its 4.7-inch display, but it’s more brighter this time around. Moreover, Apple claims that the battery can last two hours longer than the iPhone 6s, and we’re going to see in a couple of weeks when reviews come in. As far as the pricing goes, the iPhone 7 will come with a starting price tag of $649 for the 32GB variant, and of course, it will rise accordingly based on the amount of storage as always.